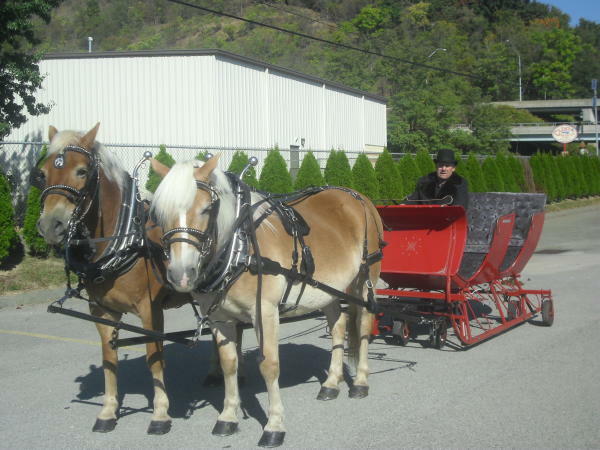 Ponies For All Ages Carriages & Sleighs! Our sweet natured well groomed ponies will bring smiles to the faces of the children at your party or event. Pony rides provide the children with memories of happiness and enjoyment, laughter and fun. 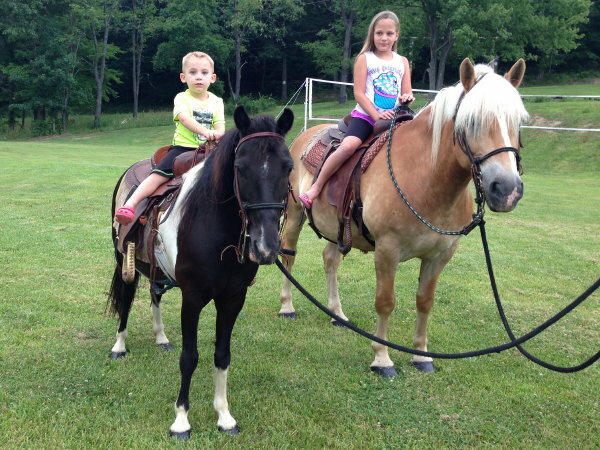 We have medium and large ponies that can accommodate riders weighing up to 100lbs and ages 1 - 10+. Young children may need an adult or parent to walk along side them. 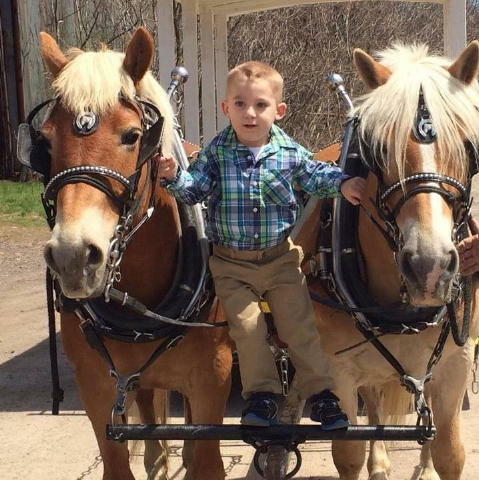 Children of all ages love the excitement of pony drawn rides! 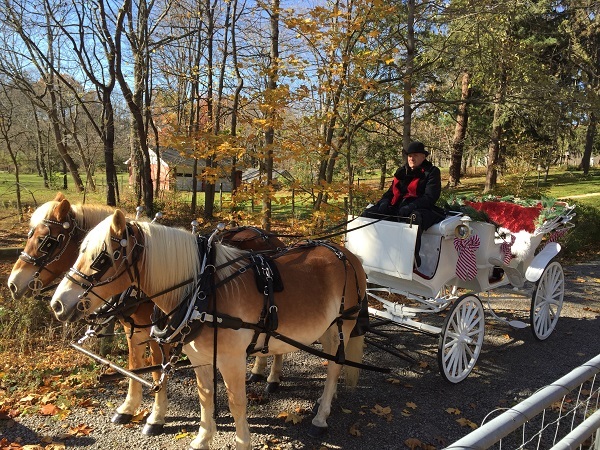 We've been introducing our ponies to children and operating our carriage service for over 30 years. Affordably priced and your satisfaction is guaranteed! 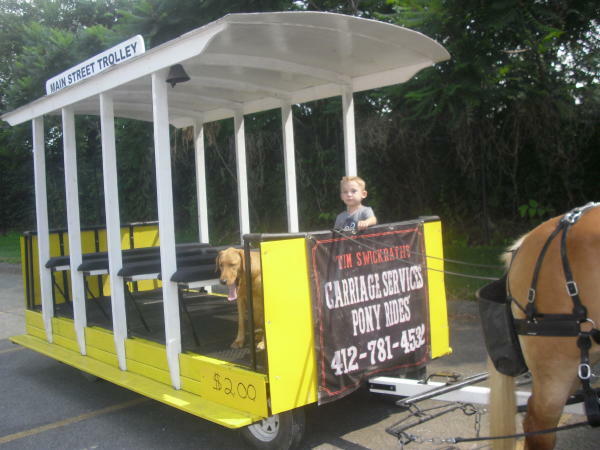 Our carriage, trolley and sleigh serve the Pittsburgh PA area. 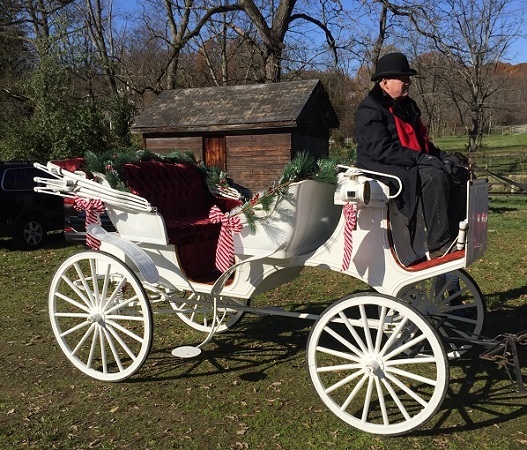 Our traffic safe Haflinger Draft Ponies and one of our carriages or sleighs offers you the opportunity to utilize this elegant and nostalgic means to enhance your event. We are available any season for any reason! 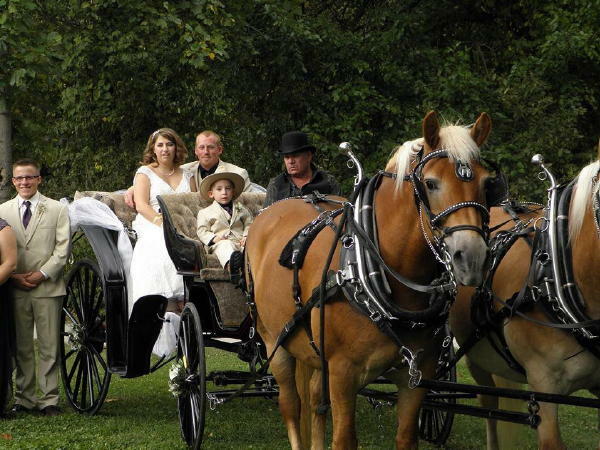 Wedding carriages or Sleighs are just the ticket to make your wedding truly special! For an unforgettable winter experience snuggle under blankets with your sweetheart. We come to you with traffic safe Haflinger Draft Ponies, a 19th century sleigh and a Victorian costumed driver. No snow, no problem! Attachable wheels for a smooth ride. In case of inclement weather we have large umbrellas to keep the children dry. We can not hold a rain date, however if the weather is too severe you may postpone the event to an available date. In planning your event, it's best scheduling the pony rides to begin 30 minutes to an hour after the start of the event, thus allowing for late arrivals to enjoy our service. We are fully insured and our ponies are led by competent, attentive and concerned leaders. We are flexible and can adapt to any situation. Pony rides can be done in a back yard or long driveway, sidewalk, cul-de-sac, dead end street, field, park, schoolyard, etc, and we can suggest a location that works the best for your circumstances.